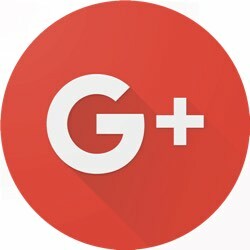 The Google+ social network that Google introduced back in 2011 suffered from a major bug that Google opted not to disclose to the public, reports The Wall Street Journal. In an internal memo, Google's legal staff recommended against disclosing the bug because it would invite "immediate regulatory interest" and result in a comparison to Facebook's Cambridge Analytica scandal. As a result of the data exposure, Google today announced that it is shutting down Google+ for consumers and introducing new privacy measures. According to Google, it put together a privacy task force called Project Strobe at the beginning of the year to review the company's APIs. Google explains that it did not opt to disclose information about the exposed data back in March because there was no evidence of misuse and no action a developer or user could take in response. Google's full list of privacy changes can be found in its new Project Strobe blog post. Choosing to intentionally not disclose a data breach is the lowest of the lows. It had been dead for years anyways. Once again Google ****s with peoples data and nothing happens. Imagine if Apple did something like that, the coverage would be HUGE. Google is a threat to industry security. They have no problem calling out other companies and their security issues, sometimes before even alerting said company. But when their own products have security issues, let's sweep it under the rug. Man. First Ping and now G+? See you guys on MySpace! "In an internal memo, Google's legal staff recommended against disclosing the bug because it would invite "immediate regulatory interest" and result in a comparison to Facebook's Cambridge Analytica scandal." Seriously. Hopefully some non-immediate regulatory interest and backlash will come their way over this. Reminds me of Yahoo sitting on their data breaches. But Google: We can't trust you, because you don't actually do what you say, or say what you actually do. No relationship is possible without trust. Your integrity is zero. It was dead the day it came out and it has remained that way. The only reason it has as many "users" as it does is because it forced a lot of people into it through YouTube, etc and none of them have ever posted anything.